If you’re looking for high-performance, energy efﬁcient windows that are virtually maintenance-free, vinyl is the answer. It never needs painting or reﬁnishing, and it makes tight seals that eliminate leaky drafts, reducing your energy costs all year long. Our premium quality, double-hung windows feature tilt-in sashes for easy cleaning and maintenance, and optional grids come between the panes so they never need cleaning. Our thermally fused frames and Low-E glass offer optimal insulation against air, water and outside noise. 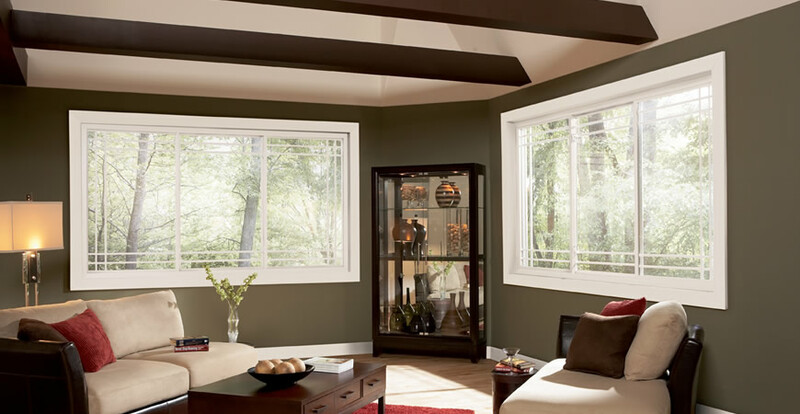 These energy efficient windows will help pay for themselves by lowering your heating and cooling bills year-round. Our performance-tested windows feature a rigid vinyl construction with fusion-welded sashes and frames, for strength and lasting durability. The inventory at Scelta Windows is backed by a transferable limited lifetime warranty. Glass components feature an optional lifetime glass breakage warranty. Each window is individually registered to expedite parts identiﬁcation and replacement.